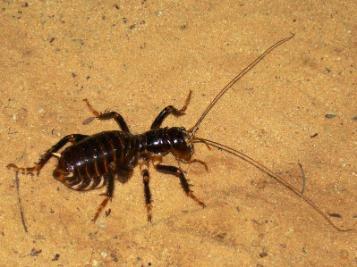 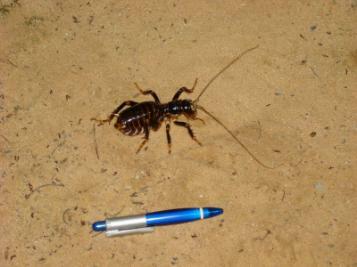 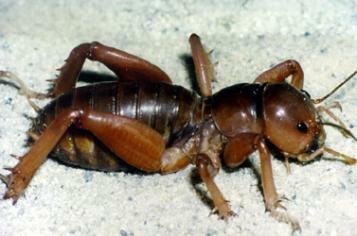 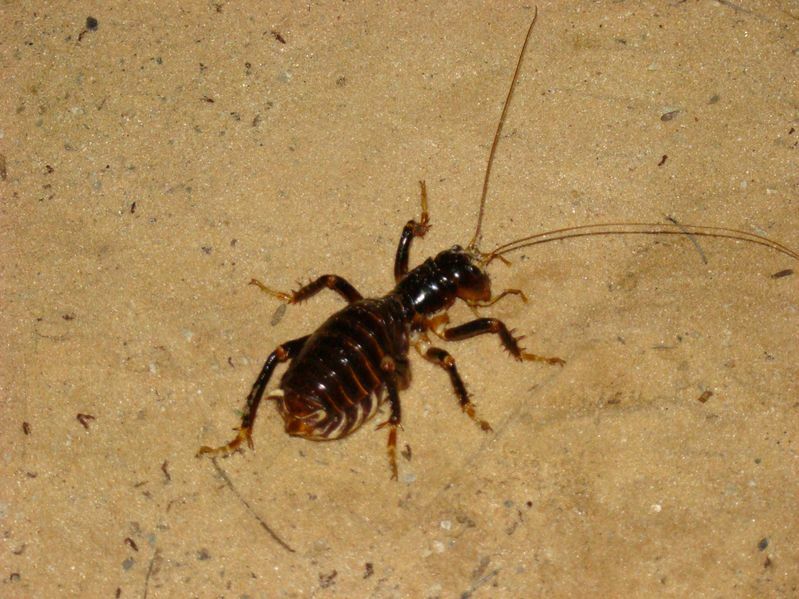 Comments: Original description: "A mahogany Jerusalem cricket (Stenopelmatus n. sp. "mahogany"). It lacks the abdominal striping pattern found in all other Stenopelmatus species. It is the second largest insect species known in California -- this one's body is 50mm long. 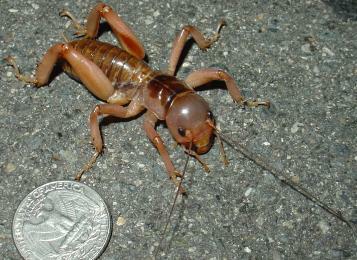 Photographed in the wild (on a paved road) in San Diego, California."